In fact I'll go well beyond the article that I am going to reference Here from Oxford & Sheffield Universities which was mainly about tree roots up in mountains. You know how it is, mostly the popular subject is rainforests, but there is far more to climate mechanisms than that. In my own personal biased opinion, all types of plant community rooting infrastructures offer this service where ever they may be found or located together still in one very functional piece. Very little is actually left anywhere with regards Earth's original functioning biological cloud formation weather mechanisms otherwise known as an old growth forested habitat. And what is left is a fraction of it's former glory. Proof is the fact that our planet's finely tuned well oiled machine for sustaining all life is in serious need of an overhaul. Rebuilding and replanting these once pristine forested ecosystems calls for actual understanding of the various components within the system, the various roles differing plant species play (not to mention animal shaping of plant systems) and the complex multitasking phenomena role played by these various structures within each plant. In other words there is more to reestablishment than merely having Boy Scouts volunteer to plant trees just anywhere that looks and feels good. Things have to be well thought out and prepared for. Specific Plants need to be selected and the intact wild infrastructure left in place. Knowing the rooting depth and role each species of wild plant may play a major part in remote out planting when it comes to seedling survival. Though I haven't done any habitat creation or establishment in several years, in Spring 2014, I did so up in Ranchita California where my brother lives. 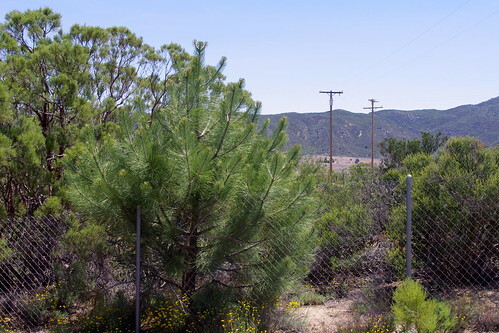 He has several acres and a hillside on the eastern side over looking his home which could be landscaped utilizing California Native trees for a northeastern Santa Ana wind break. This area is very windy and dry and so many of the conventional nonnative ornamental plants from the coastal city retail nurseries below will mostly fail up there at 4000'. The trees I chose were an often under used (in my opinion) pine tree called Foothill or Gray Pine (Pinus sabianiana) which is actually pictured above here. This picture was emailed to me in October 2013. The tree was remote planted with no irrigation system whatsoever installed as an life insurance backup. All the trees (which also includes the Engleman Oaks) are doing well and I look forward to going back there this coming May/June 2014 to see and also document their progress. The first thing I did was walk the hill looking for specific species of chaparral plants which would select for the perfect host as a Mother tree or Nurse Plant depending on their size and knowing something about their root depth penetrating ability. This is more important because you want a species of chaparral which will work as a great facilitator of Hydraulic Lift and redistribution of water from deeper layers of wet sub-soil regions to dryer surface layers where your shallow rooted seedling will be inserted in the surface soil. I look for a Chaparral species that is particularly well known for having root hardware design structure which is called a Lignotuber. This is common with many chaparral plants which have a large burl with multi-branched stems above ground and several major and secondary taproot infrastructure networks underground. The picture at the top is a fantastic illustration of the perfect Lignotuber. While I have used the often demonized Chamise or Greasewood (Adenostoma fasciculatum) with it's potential subsoil rooting depth at more than 60', I actually prefer it's relative which is the common small tree-like Redshank or Ribbonwood (adenostoma sparsifolium) because it has a much tougher and far deeper root structure. Anyone who has tried to dig one of these small trees out by hand with shovel and pry bar knows that each downwards plunging branching taproot is like trying to extract a wisdom tooth. You'll also notice that with a very large and old healthy specimen that of all the chaparral, this plant even during times of drought, the soil within the immediate vicinity of it's roots will be as damp as early Spring soil at the end of a normal rainy season. Since my brother's hillside had no Redshank, I opted for planting the Foothill Pine in between a Scrub Oak and a Mountain Mahogany which also worked fine. The tree doesn't have to be under the canopy of the chaparral, but near the canopy drip-line where the edge of the surface feeding roots will be located. Actually the ecto-mycorrhizae I use will head out away from the seedling looking for just such rich moisture catches. It doesn't necessarily have to directly interconnect with chaparral roots. Once tapped into this system, the tree is setup for increased survival chances, given any herbivore predation from Squirrels, rabbits or Deer doesn't take your tender prize while it's in it's early delicate years of growth. In the photo I found some great chicken wire cages for putting around the tree which appear to have worked out. 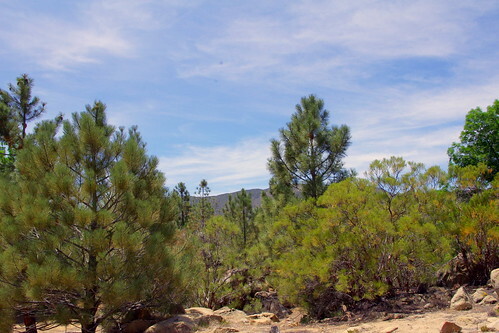 Below are some of my successes with both chaparral Redshank & Greasewood where I planted the Counter Pines in open spaces between the chaparral in remote planting, with no irrigation and a must inoculation of Pisolithus tinctorius ecto-mycorrhizae. All those things have to be in place. The ecto-inoculent is necessary or the trees will not succeed as well. On a side note, if planting near a scrub oak, the PT Mycorrhizae will also colonize it and tie in together both plants. You will always notice a very marked improvement in the Scrub Oak foliage the following season after the start of Spring after winter rains. You should also find large truffles as well. Now, pay close attention below here. Believe it or not, this tree was a two year old planted in the winter of 2000/2001. It was watered regularly the first couple of months to simulate a wet period, then left to it's own. It stayed small for 3 or four years then shot up like a rocket. The tree is almost as tall as the old growth Redshank which is in the background. Burnt Valley and Lookout Mountain are in the background. You should also take special note that this soil here is extremely shallow with broken decomposed granite rock. I did break through this rocky layer when I created the original planting hole with a heavy steel bar at about two foot down. I reused the same soil as back fill without ANY amendment material added. I never ever use amendment, just fungal inoculum and mulch on the very surface. The soil for me was not a problem as the chaparral was itself old growth and it's massive height indicated it's roots had spiraled through the fractured rock with ease into deeper moister soil layers. The picture below is of the larger Jeffrey & Coulter Pines planted in between the Redshank we planted at Dawson's old place in Terwilliger which is also much hotter and far more lower in elevation than my place on top of Table Mountain. Still, notice the success. Inoculated with PT ecto-mycorrhizae, irrigation in early to middle 1980s and left alone thereafter. Once again, the Redshank Chaparral is the real hero here. The article from the Oxford and Sheffield Universities was interesting, but it left out so many important details. It narrowly focused on large tree rooting ability to go deeply into subsoils and weather and/or degrade rocks, making more soils. Sure enough, a healthy determined root system can do just that. This is why I have no problem planting trees in what would otherwise be normally viewed as nothing more than horrible unproductive rocky soils. For me those are the best types of geological situations for forest and/or other native vegetation establishment which after maturity should be left entirely alone and untouched. Many things besides an extensively engineered complex root system assist in this mineral breakdown process. First, most notably, both endo & ecto mycorrhizae which are actually colonized on the actual plant root systems are the main players here, along with other beneficial soil bacteria. The roots also will supply water deep into the soil as they move downwards by means of hydraulic descent. Roots alone however will not do this rock breakdown into finer soils. For further information how sub-soils allow for life and breakdown of nutrients which are otherwise locked up and unavailable to plants, please read the information here on the link http://www.ncbi.nlm.nih.gov/pmc/articles/PMC3243026 . I'd post the Abstract and some pertinent bits, but it will be boring for most of you. The main message found at that site is that beneficial fungi, algae, bacteria and other microbes can actually unlock nutrients like Nitrogen and Phosphorus which are locked up in a structural form which makes them unavailable to all plants. By taking advantage of already existing cracks and other fractures, this actually leads the way for tree and shrub roots to actually intrude into deeper layers of sub-soils. This in turn allows plants with exceptional ability with regards a phenomena known as Hydraulic Descent to be able to pump water from the surface during the rainy season to these deeper layers to be utilized later during the hotter summer months. Any excess water will be added to deep underground aquifers which have suffered as a result of human misuse and abuse. Aquifers mean higher water tables for which even deserts may thrive with certain plants like Mesquite or Palo Verde designed to withstand those harsh environmental conditions. Below is a beautifully illustrated animation of what takes place all the time within rocky soil structures. Once a healthy complex infrastructure of plant roots is in place, then other plants may be inserted into the landscape. Understanding these basic fundamentals will make any attempt at ecosystem reestablishment a much greater success. Mostly it is about showing respect for what already exists and following a strict guide line of natives within that particular system. For myself I am mostly familiar with drier climate systems, as opposed to where I find myself presently. If we once again take a journey into the past and view so-called great civilizations which collapsed as a result of drought, we find some amazing similarities as to what is happening today around the globe, but on a far grander scale. A week ago I wrote yet another post on the many romanticized myths about Native American conservation. Now there is no doubt that such peoples had a great deal of knowledge about living off the land, but also many of these cultures made terrible mistakes. One example of this is the mysterious disappearance of the pre-Inca Nazca Civilization of Peruvian deserts. These are the same peoples many of the crackpot pseudo-scientists claim ancient aliens helped. Mostly they deforested this sensitive desert forested landscape of it's prized variety of Mesquite, the Huarango Trees (Prosopis pallida). This tree is considered a "Keystone Species" because of it's foundational structure within it's environment as the dominant tree. 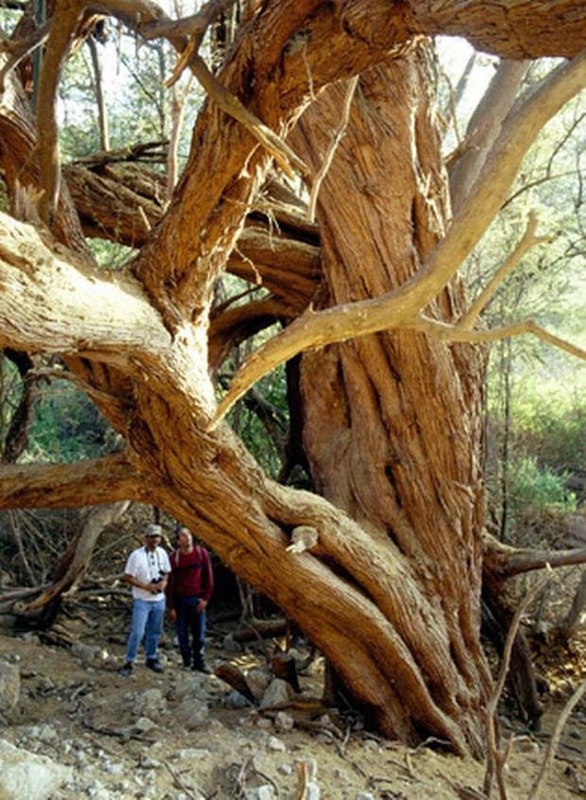 As the photo above reveals, this type of Prosopis had some huge rooting infrastructure capabilities as evidenced by the men who are dwarfed by this rare old growth specimen's immense size. If Arizona's Velvet Mesquite's taproot can bore deep into the earth at record depths between 150' and Africa's Acacia Tortilis on the Savanna even deeper to 200'+, then think what Huarango is capable of. One thing that does fascinate me is that this Nazca civilization along with those of Easter Island people, the Yucatan's Maya Empire, the Colorado Plateau Anasazi and the Cahokia Pyramid mound civilization of the Mississippi River in Illinois all seem to have disappeared much around the same time period. Now these peoples were said to be advanced, but even with their stone aged tools over several hundreds of years, they deforested and destroyed a complex weather creation mechanism which led to their downfall by means of prolonged drought. Now presently at an accelerated pace with an industrial steel mechanized human society, we have in a little over 100+ years brought almost a complete breakdown of an entire global weather mechanism and nobody can seem to agree on anything when it comes to making a correction. None of this is really rocket science here. The picture below taken by Geologist Wayne Ranne on a trip he made through Rajasthan outside Jodhpor India is an excellent example of how desertification could be reserved by even stabilizing drifting Sand Dunes with species of trees like Acacia or Prosopis. 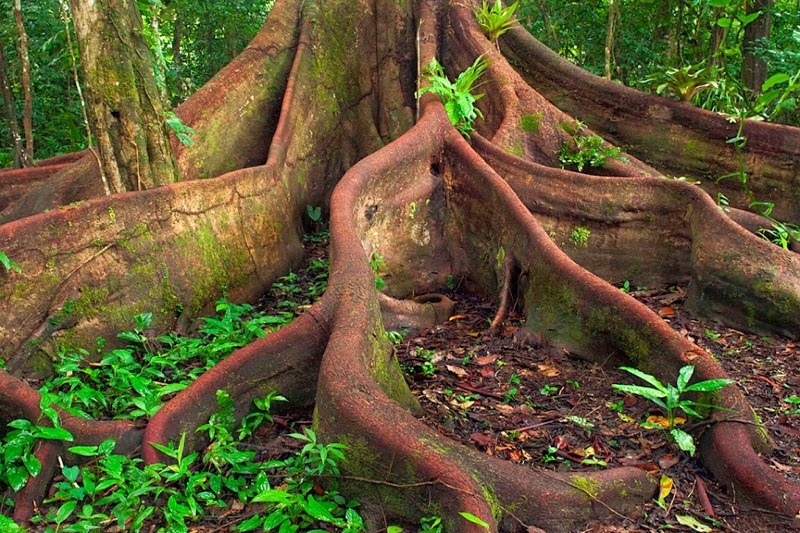 Now you can go ahead and read the article from the link below on how Tree roots 'are natural thermostat' (which is a little vague) about how deep roots of trees are carbon sinks in sub-soils, or how Mushrooms are going to save the world, but none of the wishful speculation (though interesting) backed by patents and grandiose hopes of making a fortune with these schemes is going to replace REAL OUTDOORS education and Practical Application of what is observed. 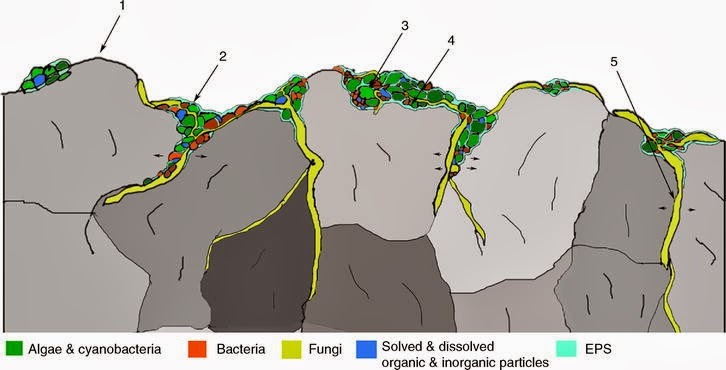 Below here is a further explanation of the actual heroes of bedrock breakdown and soil creation along with how they all work in conjunction with all other components within every ecosystem. Can Mushrooms Fight Climate Change ? "Plants sequester carbon dioxide, but when they die, that carbon enters the soil—a lot of it. Globally, soil is the biggest single terrestrial reservoir of carbon, far more than the amount of carbon contained in living things and in the atmosphere combined. (On a planetary scale, the oceans hold by far the most carbon.) As the dead plant matter is broken down by microbes in the oil, that carbon is released back into the air. The rate at which that carbon leaves the soil can obviously have a major impact on the amount of carbon in the atmosphere, which in turn helps drive climate change." Of course when you first read this, it seems like the blame for carbon release is by the decomposing of vegetation which causes the CO2 gases. But the real damage is man made synthesized unnatural aerosols into our atmosphere, not swamp gases from nature which have been going on for 10s of 1000s of years with no problem until now. Lately, I have seen some articles blaming trees for the release of their own VOCs (natural aerosols) which mix with industrial particles and cause hazy polluted skies. However, trees have been doing this with no problems until humans stepped up to the plate. "One of the limits to the growth of those decomposing microbes is the availability of nitrogen in the soil. Living plants and soil microbes compete for nitrogen, and the less nitrogen is available to the microbes, the slower decomposition is—and the more carbon remains in the soil, instead of outgassing into the atmosphere. This is where the fungi come in. Most plants have a symbiotic relationship with mycorrhizal fungi: the fungi extract the nitrogen from the soil, and make it available to the plants through their roots. 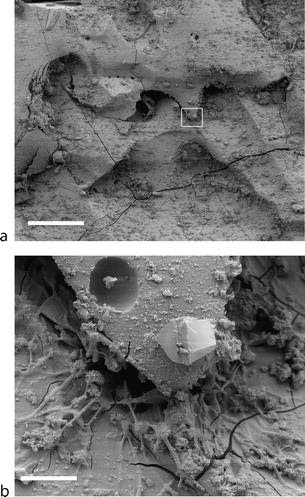 But according to a new study in Nature, one major type of the symbiotic fungi can extract nitrogen much more quickly than other types—and that in turn slows the growth of the competing microbes and leaves much more carbon locked away in the soil." Keep in mind also that even if fungi and bacteria are real heroes, they are also subject to the same deadly chemical pollution which kills other living things. Acid rain from industrial regions is also a killer of these organisms. As tough as we all would like to believe the microbial world is, they too have limits as to what they can withstand, often times it's the negative pathogenic microbial types which flourish as a result of the imbalance. This in turn creates the unfortunate and unfair bad reputation against all things microbial. That relationship between the different types of fungi and plants is so important for the carbon cycle because it’s independent of temperature, precipitation, soil clay content and all the other variable factors that can influence plant growth and soil content. 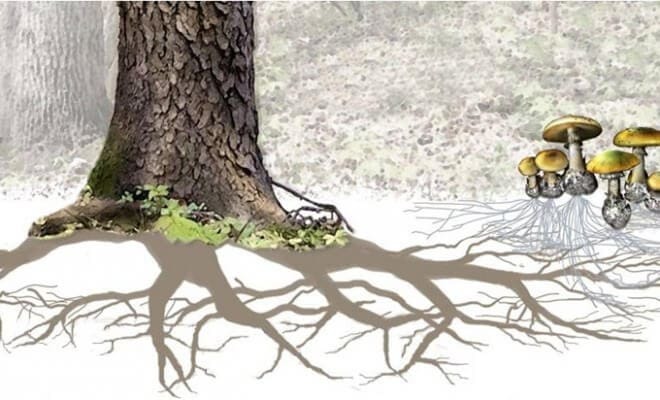 Perhaps unfortunately for us, though, AM fungi symbiosis is far more common, occurring in approximately 85% of plant families, while just a few plant families have a symbiotic relationship with EEM fungi. That could change as the composition of forests change, however, but we wouldn’t know the effects until scientists add the role of the different kinds of symbiotic fungi into global climate models, which they have yet to do." Humans: "Top of the morning to you Researcher, is there something we can help you with ?" Researchers: "What the heck are you doing to your environmental surroundings ?" Humans: "Well we've had a few disastrous industrial science mishaps happen recently ?" Researchers: "Do you have any idea how accelerated you've pushed the natural world to the point of total breakdown ?" Humans: "Well It's hard to say with any degree of accuracy just exactly how far we've run things into the ground." Researchers: "Do you feel this planet is still safe enough to live on ? You've pushed things to the limit, are almost out of fuel and there are no foreseeable Services for the next 100 years"
Humans: "Well, yeah. we can buy that. Sure. 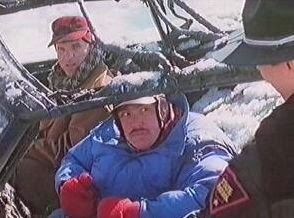 You'd know better than us, especially since our weather mechanism thermostat's been melted down with global warming." Researchers: "Do you feel this planet's life sustaining mechanisms are intact and still safe enough for sustaining life ?" Humans: "Yes, we do. The Earth's no longer as pretty as it once was, but it will get you where you want to go." Researchers: "You've got no rainfall, no clear skies, failing economies and no properly functioning weather mechanisms, is that about correct ?" Humans: "No not a one, However our Laptops, TV and iPads still work. Funny as that may seem, and also on that weather thing, we've been told that GMOs and Geoengineering are going to save everything. And you, anyone who doesn't believe those things will problem solve for us are, well, just anti-science"
Okay, Okay, enough of the snarky superciliousness! Well, I'd post other references, but you know, it would be water off a Duck's back! I stumbled about your fascinating blog while googling Redshank trees. We are considering purchasing property in nearby Chihuahua Valley. Beautiful Redshank, Manzanita, Sage, etc. are thriving on the land. We want to clear a portion of the chaparral to plant an apple orchard but are concerned the soil is too shallow. 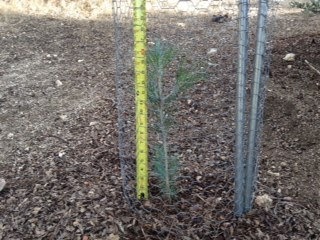 But after reading about your tree planting success I'm feeling more optimistic. Do you have an opinion on growing apples on land described as "Tollhouse rocky coarse sandy loam"? I'll actually be over there at Anza and Ranchita come this next month from May 22 to June 12th. We fly into L.A. from Sweden and rent a car and head for El Cajon. Maybe I could come by and look at the location. Chihuahua Valley has so many soil types. 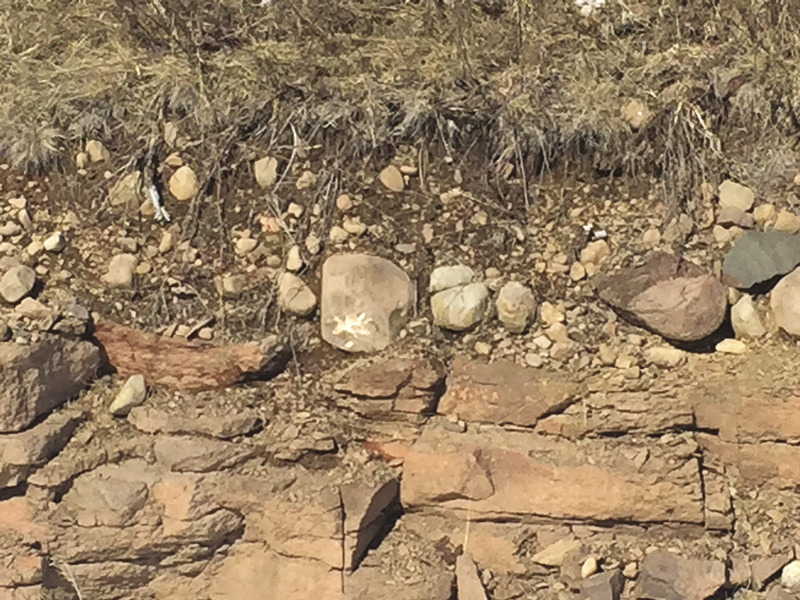 Yes rocky and shallow on the hills, but depending on the size of your Redshank, maybe easy to penetrate for rootsystems of apple trees. If I were you, I would purchase standard trees and forget the semi-dwarf. The standard trees will have larger extensive root systems and grow far deeper than the other retail nursery trees for home gardens in the cities and commercial farms. I'd also look for hierloom varieties which might work better in such a tough climate zone. although things have change drastically with climate change. Chihuahua also gets good summer thunderstorms. I really appreciate the helpful info and offer! Please let me know if my email with more details didn't make it through.